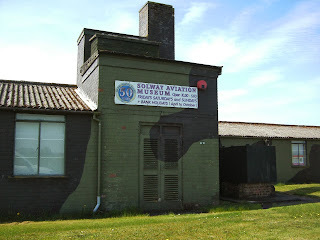 Solway Aviation Museum is run by volunteers who belong to the Solway Aviation Society. 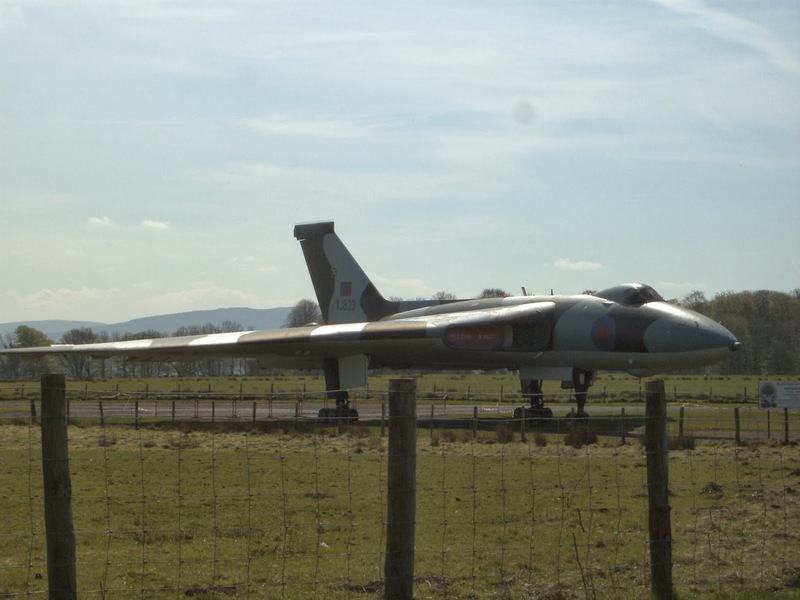 It is currently located at Carlisle Airport, originally the wartime airfield of R.A.F. Crosby-on-Eden and is situated a short distance to the east of Carlisle and Brampton in northern Cumbria (previously Cumberland). 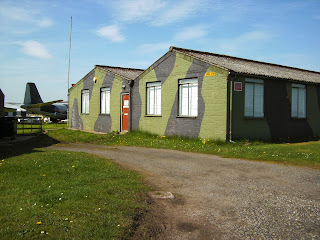 The museum occupies a number of the original wartime buildings of R.A.F. Crosby-on-Eden, including its headquarters building [Photograph No. 1]. Some of the buildings are used to house the museum's indoor displays and exhibitions [Photograph No. 2]. In the 'Crosby Room' is an exhibition displaying the civilian life of the airport from the war years up to the present day, such as the Airport Fire Section and a replica of the control desk of the tower. Close to the Cumberland / Northumberland / Scotland border is RAF Spadeadam. For several years (c. 1957 - 1965) this was the test site for the Blue Streak rocket project. Blue Streak was originally intended to be a medium range ballistic missile (MRBM) and later the first stage of an intended space-age rocket. Although Blue Streak was abandoned without going into full production, the 'Blue Streak Room' at the Solway Aviation Museum tells its story through photographs, rocket parts and equipment. 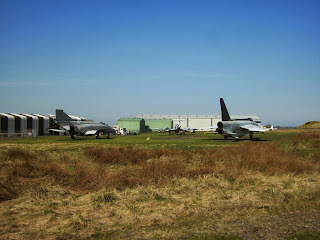 There is also a timeline history of the airfield, from when it first began in the summer of 1940 until the present day. 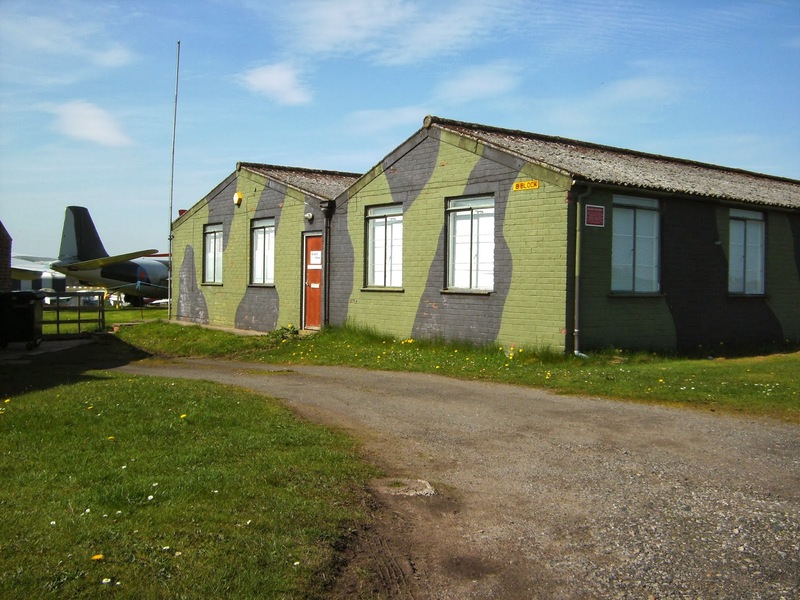 During the war, RAF Crosby-on-Eden was first used as an Operational Training Unit (O.T.U.). The museum displays a 'Roll of Honour', commemorating the airmen who were accidentally killed during their training at R.A.F. Crosby-on-Eden during the war. Outside is a collection of aircraft, aviation artifacts and displays, some of which date from before WW2. Some of these aircraft can be seen above [Photograph No. 3]. 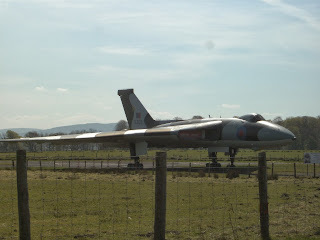 For many visitors, the most interesting aircraft to visit is an Avro Vulcan Bomber (B.2 XJ 823) [Photograph No. 4]. It is possible to have a guided tour of this aircraft, including a visit to the cockpit. RAF Crosby-on-Eden was constructed by John Laing & Son Ltd. from the summer of 1940 onward. The airfield opened on 20 February 1941, with an advance party of its first unit (59 O.T.U.) arriving the following day, 21 February 1941. As the accommodation buildings had not been completed billets were found at the nearby Hadrian's Camp at Houghton, Carlisle (an army camp). The first aircraft arrived on 11 March 1941 and the airfield was then used as a training base by 59 O.T.U. until August 1942. During this period, pilots were trained to fly in Hawker Hurricanes. It was in August 1942, after the departure of 59 O.T.U., that 9 O.T.U. arrived at Crosby-on-Eden (17 Group Coastal Command) who were involved in training long-range fighter crews. During this period the airfield was used by Bristol Beaufort and Bristol Beaufighter conversion squadrons. 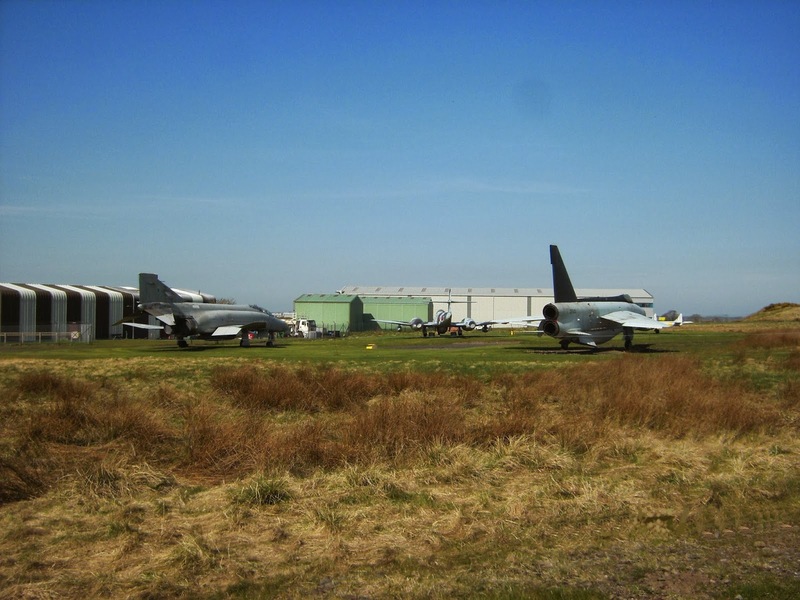 The airfield was also used for training in air firing and night flying. In August 1944 R.A.F. Crosby-on-Eden came under the command of RAF Transport Command and used by 109 O.T.U., mainly flying Douglas Dakotas. Towards the end of the war, on 1 August 1945, 109 OTU was renamed 1383 (Transport) Conversion Unit RAF (1383(T)CU). The following year, on 6 August 1946, this unit was disbanded meaning the R.A.F. no longer used the airfield. Between October 1946 and October 1947 Crosby-on-Eden was used by B.E.A (a recently nationalised civilian airway) used Crosby-on-Eden airfield for flights to Ronaldsway (Isle of Man), Nutts Corner (Northern Ireland) and Woolsington (Newcastle Airport). On 6 October 1947 B.E.A. ceased using Crosby-on-Eden airfield and the airfield reverted to mainly agricultural use until it was bought by Carlisle Corporation in 1960 and became more widely known as Carlisle Airport who developed civilian flights to the Isle of Man, the Channel Islands and elsewhere.In addition to its WW2 history, the Solway Aviation Museum also tells the post-war history of the airport.